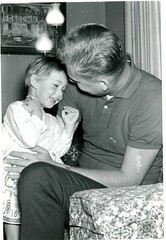 Source: Goble Family Newsletter, Vol 6, Issue 4, December 1999, sponsored by the Goble Family Association. Well, it is that time of year again which means I can finally post this ghoulish story which has been sitting on the back burner for a few months. So, the Salem Witch Trials. 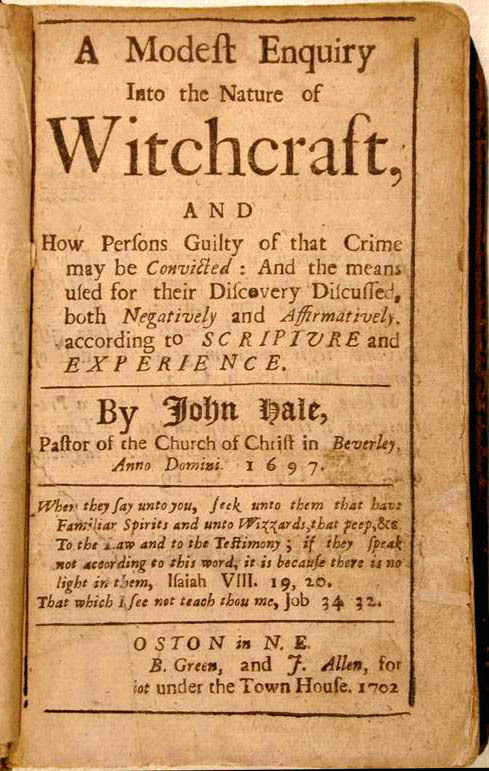 I never really thought that I would be posting anything related to this particular bit of American history, even though I have ancestors who I know were involved in a few witch trials, none had previously been a part of this particular one. Giles Corey being pressed to death by the citizens of Salem. The image, of course, is in error, as he was stripped naked when the townsfolk decided on the day’s ‘pressing’ entertainment. And, I have Esther Newell to thank for this excellent addition to the family archives. Esther’s mother was Abigail Smith, who’s line on her mother’s side goes back a few more generations to Mary Cheever, a daughter of Ezekiel Cheever. 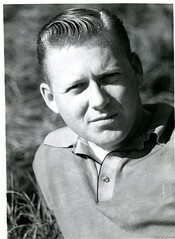 This is not a picture of Ezekiel junior, it is his father, senior. Ezekiel and his wife Mary Margaret Culverwell came to New England in 1637, eventually settling in Boston where he became head master of the Latin school there. Ezekiel married twice and had a total of 11 children. Our ancestress Mary Cheever was a daughter with his first wife Mary Margaret. With his second wife he had a son Ezekiel, junior. It is this son who we have to thank for our Salem Witch Trial connection. Junior and his siblings were brought up in a very Puritan household where his father was known for his “untiring abjuration of the Devil.” Eventually junior grew up, married, had children and settled the family in Salem. He earned his living as a respectable tailor. As he grew older he also became an official clerk of the court, due mostly to his knowledge of shorthand, and earned prominence in town, eventually taking the oath of fidelity and the freeman’s oath. 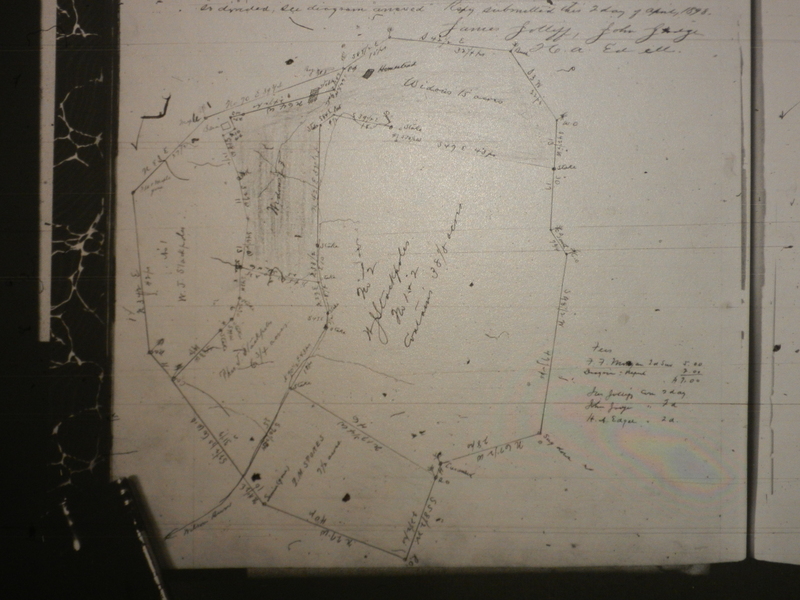 The family outgrew their home in town, so in 1684 they purchased and moved to the Lathrop farm in Salem Town. In 1689 he was promoted to a charter member of the Salem Village Church, eventually becoming a deacon, a position he held for many years. 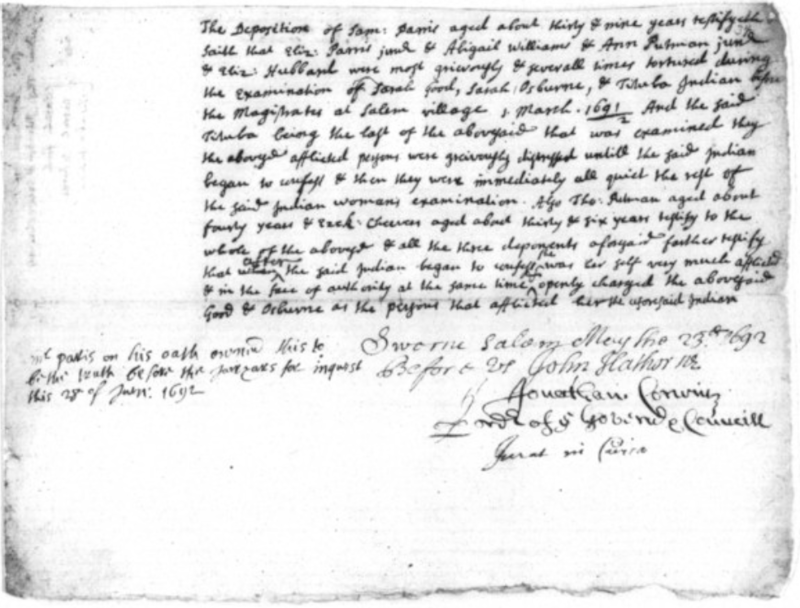 Poor screen shot of poor online image from court documents of Salem Witch trials, this particular document has Ezekiel’s name about 2/3rds of the way down in the paragraph. In fact, Junior was also an accuser, filing accusations and complaints against accused – Bridget Bishop, Giles Corey*, Abigail Hobbs, and Mary Warren, after witnessing a number of the, supposedly, afflicted and tormented girls being harassed by their, conveniently invisible, tormentors. He also accused Martha Corey, at her questioning, of afflicting Ann Putnam, Jr. and Mercy Lewis, based upon testimony he had heard from others and his own observations, protesting that Corey was lying before the court. His view of the proceedings was no doubt colored and distorted by his upbringing, and his father’s views on the devil and evil in the world. It was a dark and evil time in American history, unfortunately merely one of many. Ezekiel remained heavily immersed in Salem Church affairs after the trials. There is no indication in the records, or history, that he suffered guilt or remorse over his part in the murder of innocent victims of this mass hysteria. It is quite possible the rest of his family was cheering him on. I can only hope that his sister Mary, who was living in Farmington, Massachusetts at the time of the trials, with her husband William Lewis and their children, was appalled at her brother’s involvement. There were public calls for justice, by others, starting to occur by at least 1695 when Thomas Maule, a noted Quaker, publicly criticized the way the court proceedings were handled. There was also a group of jurors from the trial who asked a local Reverend to read aloud a public apology and their pleas for forgiveness. One minister admitted, “Such was the darkness of that day, the tortures and lamentations of the afflicted, and the power of former presidents, that we walked in the clouds, and could not see our way.” Even the Salem Village church began to seek repentance at they voted to reverse the excommunication of Martha Corey, Giles’ wife. Other church goers publicly asked for forgiveness from their fellow parishioners for their part, claiming that they had been deluded by Satan into denouncing innocent people. 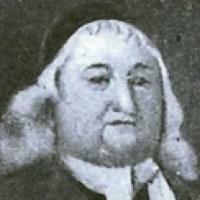 Ezekiel Cheever, junior died in December of 1731. 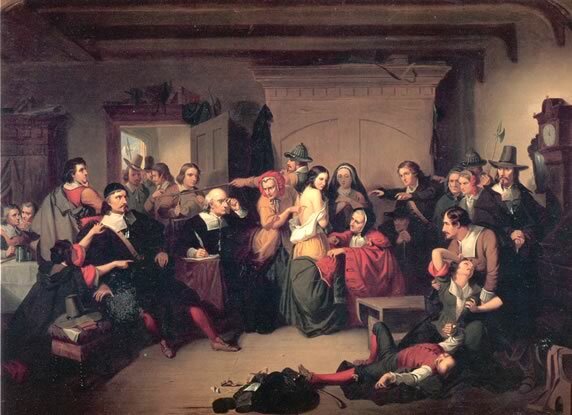 Imagined scene of the questioning of the accused. 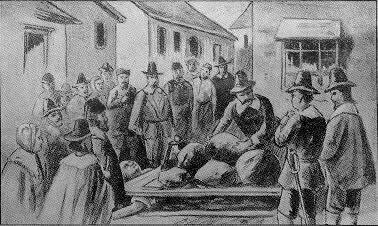 *Giles Corey – This poor man was the only lucky person to be pressed to death in this country. He might also be a relative of mine, not direct, but a cousin of some kind, as we also have Coreys in our ancestry. I haven’t found the connection yet though. 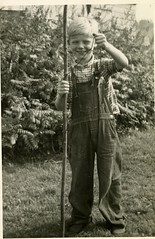 1. http://salem.lib.virginia.edu/home.html – trial documents and other interesting items found at this site. This tavern might not be as infamous as the Fay’s tavern, but it was certainly older. Welcome to Nieu Amsterdam! 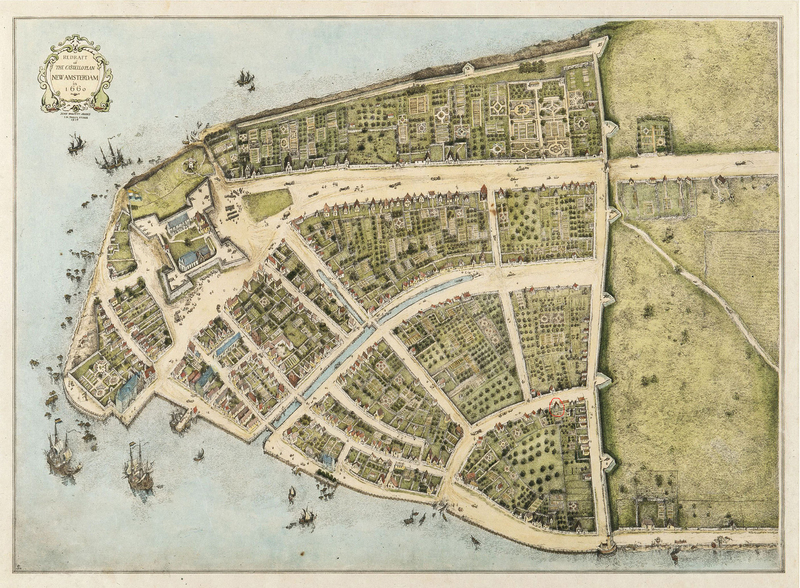 Redraft of the Castello Plan of New Amsterdam in 1660, redrawn in 1916 by John Wolcott Adams and Isaac Newton Phelps Stokes. 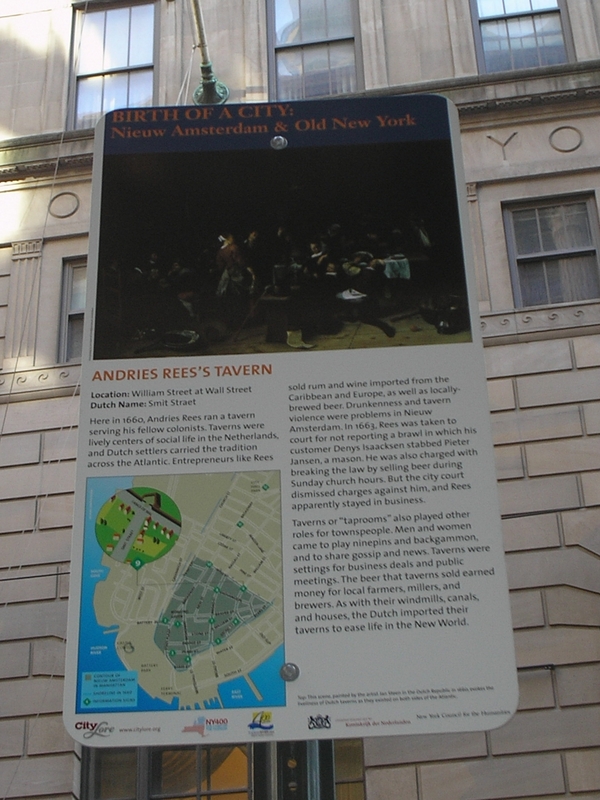 While the Rees’s tavern itself isn’t famous for who was there, it is a historical landmark because of when it was around as can be seen in the historical marker below. Here, in 1660, Andries Rees ran a tavern serving his fellow colonists. Taverns were lively centers of social life in the Netherlands, and Dutch settlers carried the tradition across the Atlantic. Entrepreneurs like Rees sold rum and wine imported from the Caribbean and Europe, as well as locally-brewed beer. 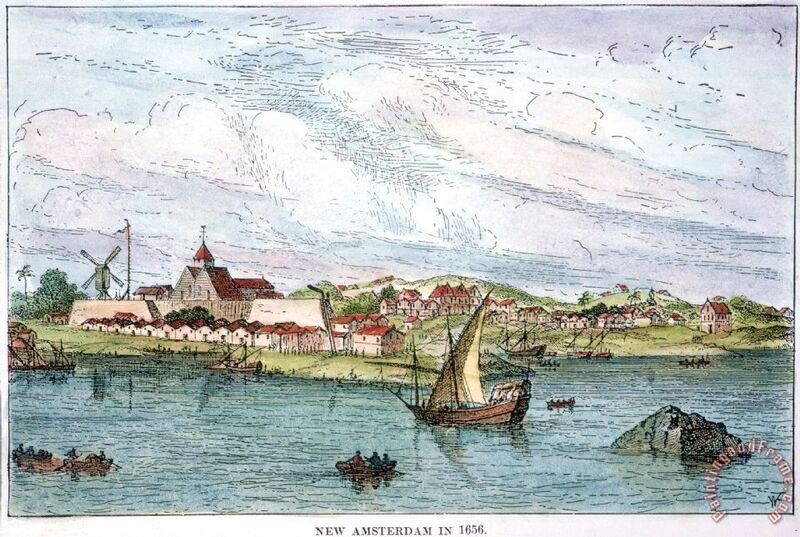 Drunkenness and tavern violence were problems in Nieuw Amsterdam. In 1663, Rees was taken to court for not reporting a brawl in which his customer Denys Isaacksen stabbed Pieter Jansen, a mason. He was also charged with breaking the law by selling beer during Sunday church hours. But the city court dismissed charges against him, and Rees apparently stayed in business. 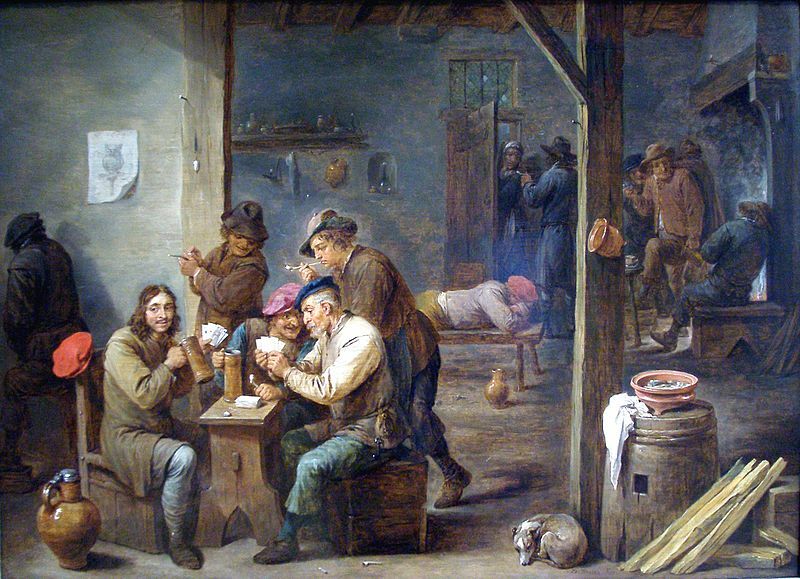 Taverns or “taprooms” also played other roles for townspeople. Men and women came to play ninepins and backgammon, and to share gossip and news. Taverns were settings for business deals and public meetings. The beer that taverns sold earned money for local farmers, millers, and brewers. As with their windmills, canals, and houses, the Dutch imported their taverns to ease life in the New World. It would have been great to have known about this while my sister an I were in New York visiting a while ago, we were in the area and could have checked it out. 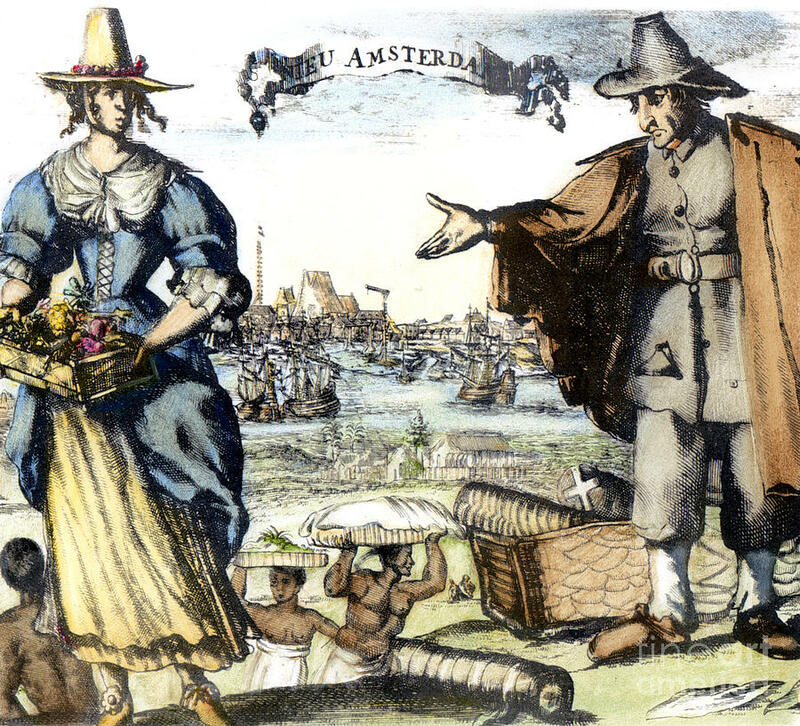 According to histories regarding New Amsterdam, the fashion of the day in the seventeenth century was drinking and gambling. This included young as well as the old. 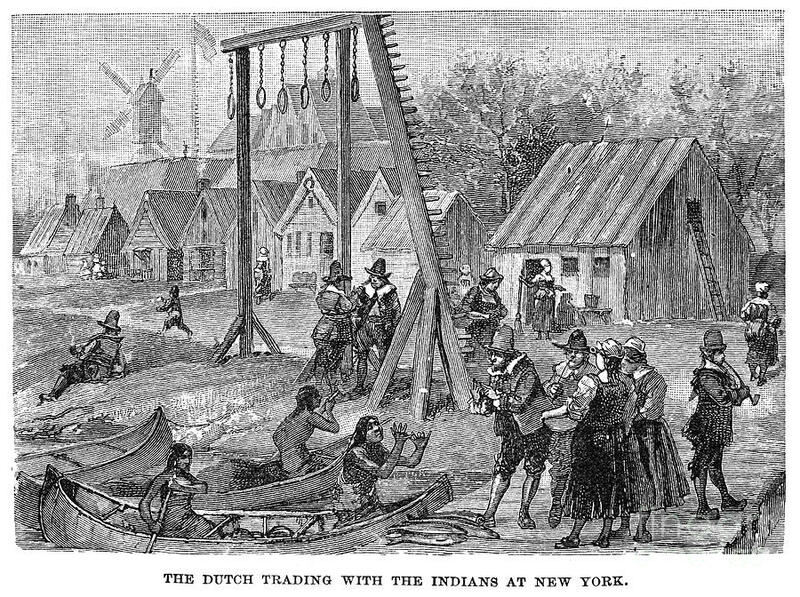 These vices were, no doubt, popular in New Amsterdam because of the lack of other entertainments for the locals, as there were no books, theaters, museums or other distractions for one’s evening entertainment. When the official work or school day was done you either spent your time at home, in the sober environment of your parents, or spouse, or joined in the revelry at the local corner tavern. At the tavern there was drinking, dicing, card playing and many other questionable games to amuse. And apparently in New Amsterdam the licencoiousness was even more prevalent. In fact not only did the men indulge, but women and even the clergy were known to spend many an evening in drunken revelry. One interesting result of this habit, in New Amsterdam, was that drunkenness was used as an excuse in court cases such as assault. The law also allowed men 24 hours to get sober, if after that time they wanted to denounce any transactions they entered into while they were drunk they were allowed to do so, with no repercussions. In the seventeenth century ice was in use in taverns to keep their wines cooled. Customers drank from steins and horns, if it was wine, or pewter mugs and steins with lids if it was beer, poorer taverns served beer in wooden bowls. The common fare found in your local New Amsterdam tavern was wine, beer, ale, cider, rum, or gin, which was considered a poor class drink. The court ended up fining her six guilders. On June 19 of 1657, having fulfilled his duties as a soldier well Andries was promoted to the rank of Cadet. He and Celitje bought a house on Smits* Street (now William Street) in 1672. The family eventually ended up in Beverwick, now known as Albany. Their son Willem, my ancestor, had descendants that eventually married into the Jeremiah Smith line, Gertrude Cain’s great grandfather on her mother’s side.